Many patients suffer from imperfect teeth caused by discoloration, varying stages of decay, gaps in teeth formation, or injury. We understand how important a great smile is, and how these minor imperfections can seriously impact an individual’s confidence and ability to feel good about their appearance. There’s good news for those suffering from imperfect teeth, porcelain veneers can give you the beautiful smile you’ve always dreamed of! Porcelain veneers are a form of cosmetic dentistry involving the creation of a thin shell that is custom designed for each patient and comprised of a translucent porcelain that restores beauty and luster to damaged teeth. While they are technically a form of cosmetic dentistry they also provide a degree of protection to damage teeth, and can often be used to eliminate the need for more extensive treatments. Will Porcelain Veneers Help My Teeth? Worn Enamel: Wear and tear on your teeth can result in the degradation of the thin layer of enamel that covers your teeth. This can lead to pitting, sensitivity, and discoloration. Chipping and Cracking: Regular daily use can cause your teeth to chip or crack, especially if you suffer from weak enamel. These leave your smile uneven and jagged, something that can be resolved with veneers. Genetic Issues: For some people, their unattractive smile is the result of genetic influences on the way their teeth grow in, and often includes abnormal spacing or uneven teeth. 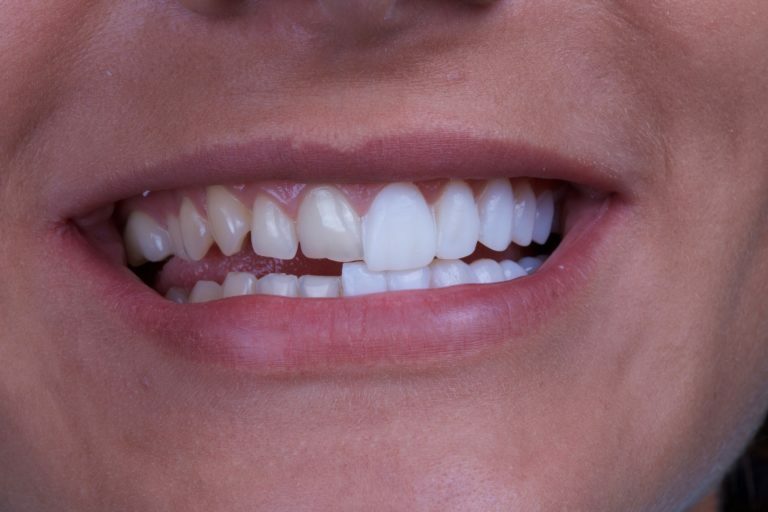 Porcelain veneers can provide you with a beautiful, even smile that you can be proud of while providing protection against the elements that led to some cases of imperfect teeth. Should I Consider Getting Porcelain Veneers? Getting porcelain veneers should be considered carefully and should be thoroughly discussed with your dentist. While an effective and safe technique, it does involve the removal of natural tooth structure, something which cannot be undone. If you have naturally functional and beautiful teeth, there’s no cause for getting porcelain veneers. However, if you suffer from a smile that is discolored and pitted or with gaps that you find unattractive or inconvenient, then veneers can be the right answer for you. The process of getting porcelain veneers often takes six weeks, and each visit can require multiple hours of examination and preparation of the tooth. The process begins by the dentist administering an anesthetic to make you comfortable while the tooth is prepared for the veneer. The surface of your teeth is then reshaped to be able to accept the permanent veneer. A cast will be taken of the prepared teeth which will be sent out to a lab to create the porcelain veneer, and a temporary one put in place. When the permanent ones arrive you’ll be called into your dentist’s office and another procedure performed that will put them in place. Contact your dentist if you have any questions, or to find out if porcelain veneers may be right for you.